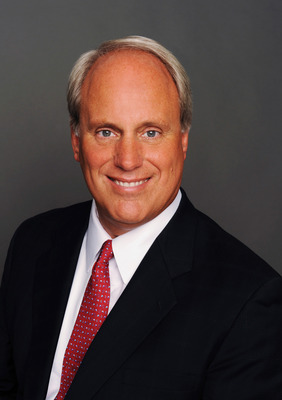 J. D. Nichols is Chairman of NTS Corporation, its subsidiaries and affiliates. He graduated from the University of Louisville School of Law in 1964 and conducted his undergraduate studies at the University of Kentucky with a concentration in accounting, marketing, business administration, and finance. Mr. Nichols began his career in construction and real estate development in 1965, and since then has overseen the development of more than 10,000 acres of land and 8,000,000 square feet of office, residential, commercial, and industrial construction throughout the southeastern United States. The company currently owns and/or manages over 5,800 rental apartment units and approximately 3.9 million square feet of office, retail, healthcare, and office/showroom space. Mr. Nichols has also served as Chairman of the Kentucky Council on School Performance Standards, which was charged with the responsibility for development of the academic agenda incorporated into the Kentucky Education Reform Act (“KERA”) - a program which has been recognized nationally for innovation in education reform. In addition, Mr. Nichols served on the Steering Committee of the Kentucky Education Technology System which was created by KERA, and charged with development of a statewide computerized information system linking Kentucky’s public schools. He is a past member and chairman of the Council for Education Technology; a past member of both the Prichard Committee for Academic Excellence and the Partnership for Kentucky Schools; and is a lifetime member of the President’s Society of Bellarmine College. Mr. Nichols was inducted into the Junior Achievement Kentuckiana Business Hall of Fame in 1989; was named the University of Louisville’s Alumnus of the Year in 2015; is a past director and member of the Executive Committee of Greater Louisville Inc. (Louisville’s Chamber of Commerce); has served on the Governor’s Council on Economic Development; the Board of Directors of both Actors Theater of Louisville and Kentucky Opera; and several other community organizations. Mr. Nichols was one of the longest serving members of the board of the Louisville Regional Airport Authority, serving as both vice-chairman and chairman during his tenure. He was also the primary catalyst behind the billion dollar expansion of Louisville International Airport, and the decision by United Parcel Service (UPS) to make Louisville its corporate headquarters for UPS Airlines and their main domestic and international hub. In addition, Mr. Nichols was instrumental in developing the concept for and implementation of Metropolitan College - a program that pays the tuition (including room and board) for college or post-high school technical training, as well as providing a part-time job at UPS. This program provides the majority of the 6,500 part-time jobs at UPS Worldport - its 5,000,000 square foot sorting hub located at the center of Louisville International Airport. Metropolitan College is credited with allowing thousands of Kentucky high school graduates the opportunity to obtain a college degree or advanced technical training, who otherwise could not afford an advanced education. 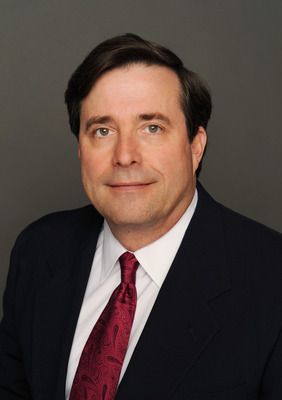 Brian F. Lavin serves as president and chief executive officer of NTS Development Company, its subsidiaries and affiliates. As such, Mr. Lavin is responsible for all NTS real estate development and land acquisitions, and oversees the management of all office buildings, business centers, multi-family and single-family residential divisions. 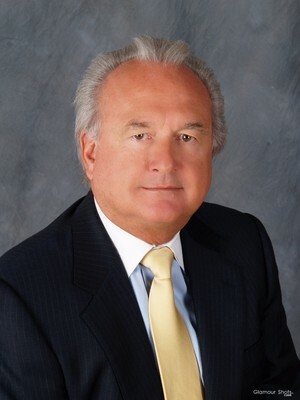 Prior to joining NTS, from November 1994 through June 1997, Mr. Lavin served as president of Paragon Residential, a division of Paragon Group, Inc. (NYSE: PGI) and prior to 1994, as vice president of Paragon’s Midwest Division. In this capacity, he directed the development, marketing, leasing, management and financing for Paragon’s Residential 12-state multi-family portfolio. Paragon Residential developed and operated multi-family properties with an aggregate of 30,000 units in the Midwest and Southeast sections of the United States. Mr. Lavin has a bachelor’s degree in business administration from the University of Missouri. He is also a licensed real estate broker in Kentucky and certified property manager. He is a member of the Institute of Real Estate Management, council member of the Urban Land Institute and member of the National Multi-Housing Council. Prior to his current membership with the World Presidents’ Organization, he was a member of the Young Presidents’ Organization. He has served on the board of directors of the Louisville Science Center, Louisville Ballet, Greater Louisville, Inc., National Multi-Housing Council, Louisville Apartment Association, Louisville Olmsted Parks Conservancy, Inc., and the Inquiry Commission for the Kentucky Bar Association. He currently serves on the board of Overseers for the University of Louisville. Mr. Wells is Executive Vice President and Chief Financial Officer for NTS Realty Holdings, L.P, NTS Development Company, its subsidiaries and affiliates. He manages all accounting, public reporting and financial operations for the company and its affiliates. Mr. Wells is a Certified Public Accountant and holds a bachelor’s degree in business administration from George Mason University. Prior to joining NTS, Mr. Wells served as chief financial officer for Hokanson Companies, an Indianapolis based developer. Mr. Mitchell serves as senior vice president for NTS Realty Holdings, L.P, NTS Development Company, its subsidiaries and affiliates. He is responsible for all capital transactions, disposition activities and corporate level asset management. Mr. Mitchell attended the University of Dayton, where he received a bachelor’s degree in business administration. He also holds a M.B.A. in finance from Bellarmine College. Prior to joining NTS, Mr. Mitchell was a lending officer for PNC Bank. Ms. Tafel serves as senior vice president and corporate counsel for NTS Realty Holdings, L.P, NTS Development Company, its subsidiaries and affiliates. 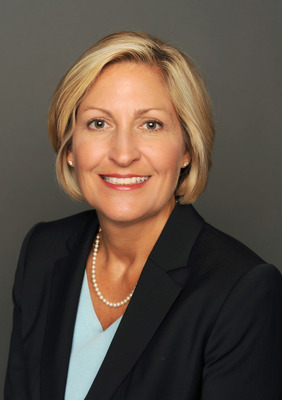 Prior to joining NTS, she was an associate with Frost Brown Todd LLC (f/k/a/ Brown, Todd & Heyburn PLLC), concentrating in the area of real estate acquisitions and divestitures, commercial development, leasing and financing, including asset-based financing from both the lender’s and borrower’s perspective. She was responsible for negotiating, documenting and closing major commercial real estate acquisitions, asset acquisitions, development and loan transactions. Ms. Tafel has more than 20 years’ experience as a real estate and transactional attorney and has been involved in loan workouts and court-ordered sales of assets of bankrupt companies. Ms. Tafel holds an undergraduate business degree from Indiana University and is a graduate of the University of Louisville School of Law. She is a member of the Brandeis Society for Outstanding Legal Scholarship. 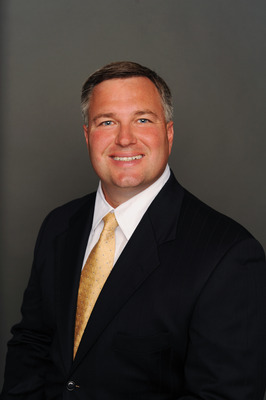 Mr. Pitchford serves as senior vice president and treasurer of NTS Realty Capital, Inc., NTS Realty Partners, LLC, NTS Corporation and Subsidiaries and NTS Affiliates. Mr. Pitchford is responsible for the development, management, operations and policies related to the Treasury function of all NTS Affiliates. The responsibilities include all cash management, short-term working capital and debt management, payment processing, and electronic banking collections. He is also responsible for NTS’ Corporate accounting and NTS Corporation and Subsidiaries accounting. Mr. Pitchford also oversees the private entity tax preparation for NTS, the reporting and compliance of private entity debt, and various special projects. Mr. Pitchford holds a Bachelor’s Degree in Business Administration, as well as a Master of Business Administration from Sullivan University. Mr. 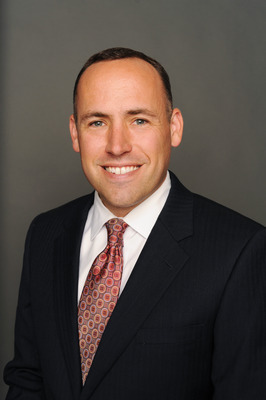 Borders serves as senior vice president of leasing for NTS Development Company where he oversees the commercial leasing for NTS and other clients. He is responsible for the leasing of office, medical office, office/warehouse, and retail property in the Louisville area. He also brokers commercial land sales and ground leases and has generated in excess of $500 million in real estate transactions since joining NTS in 2000. He is a member of the Kentucky Bar Association, International Council of Shopping Centers, and the CCIM KY Chapter (Certified Commercial Investment Member). Prior to joining NTS, Mr. Borders practiced corporate law with Stites and Harbison in Louisville, was a CPA with Ernst & Young in Louisville, and was a Real Estate Manager for Yum! Brands, Inc. He holds a B.S. Degree in accounting from the University of Kentucky and a J.D. from the University of Louisville School of Law. 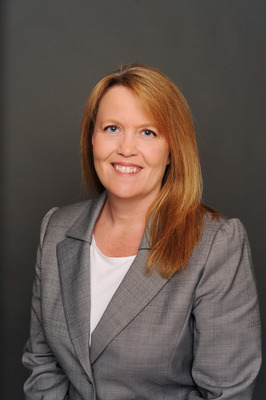 Ms. Jarboe is Senior Vice President, Healthcare Properties. She has more than 25 years of institutional experience and is currently responsible for all property management activities for the 1.4 million square foot HCP portfolio, which includes medical office buildings in Louisville and Lexington, KY, Evansville, IN, and Dayton OH. During her time at NTS, Ms. Jarboe has been responsible for all office, retail, industrial and medical office properties owned or managed by NTS. Prior to joining NTS, she held various property management positions with Paragon Group and Insignia Commercial Group in Louisville and was responsible for third-party management operations for a number of institutional clients. Ms. Jarboe received a B.A. degree from Hanover College and served as president of the college’s Alumni Board of Directors. She is presently serving on the Board of Directors for the Louisville Skating Academy, a local non-profit organization. 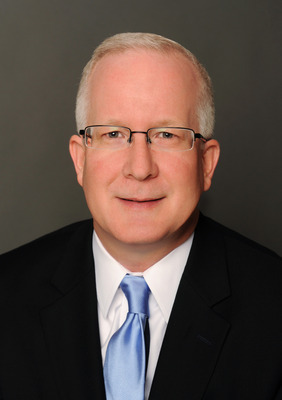 Mr. McDearmon serves as senior vice president of NTS Development Company where he oversees the operations for 20 apartment communities throughout Kentucky, Florida, Indiana, Tennessee and Virginia as well as the property management of the commercial office portfolio in Louisville, KY. The commercial office portfolio encompasses 18 buildings and 1.6 million square feet. He joined NTS in 2004 and has been an integral part of NTS' growth in multi-family — from approximately 1,700 units to approximately 6,200 units. He currently serves as vice president on the Board of Directors for the Louisville Apartment Association. Mr. McDearmon earned a degree in civil and environmental engineering from the Virginia Military Institute, where he graduated in 1999 as the Distinguished Naval Graduate. He was an active duty U.S. Navy officer for over five years, during which time he served as First Lieutenant onboard the USS Cole and as the Navigator onboard the USS Ross. His final assignment on active duty was as an instructor at the Navy and Marine Corps Intelligence Training Center. Mr. McDearmon obtained his M.B.A. from Auburn University in 2007. 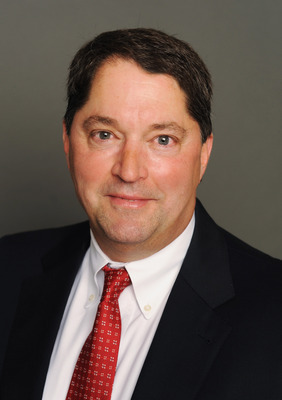 Mr. Ricketts serves as senior vice president of NTS Development Company and is responsible for the acquisition, zoning, development, construction and sale of assets within the NTS portfolio. His leadership has been paramount in the development and construction of numerous multi-million dollar real estate projects in the residential, multifamily and commercial sectors. He is responsible for all large capital improvements and construction projects within the NTS portfolio. He joined NTS in 2000 and has been an integral part of the company’s recent growth in the premium office market. His most recent, award winning projects include multiple Class AA+ office buildings in the ShelbyHurst development, a downtown office tower and a state-of-the-art downtown parking garage. His high architectural and construction standards paired with his attention to detail ensure NTS’s standard of legendary excellence carries on for years to come. Mr. Ricketts earned his B.S., M.B.A. and Master of Engineering Degrees while earning a minor in communications, all from the University of Louisville. 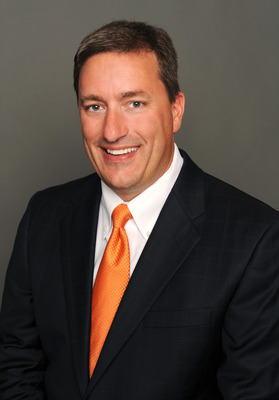 His professional involvement includes the Home Builder Association, Building Industry Association of Louisville, Greater Louisville, Inc., and the Urban Land Institute. He also currently serves on the board of directors of the Louisville Downtown Development Corporation, the Executive Board of the Boy Scouts of America - Lincoln Heritage Council and as a volunteer with the Girl Scouts of Kentuckiana.